Known as the apostle of divine mercy, St. Faustina Kowalska brought the message of God’s deep and passionate love for all of humanity. Faustina was born in 1905 to a poor peasant family in a small village in Poland. Named Helen, she was the third of 10 children. Her family lived on a 14-acre working farm, and her father also worked at a brewery to provide for the needs of the family. Despite their poverty, her parents taught their children the importance of living out their Catholic faith in daily life. Despite the joy she felt in becoming a religious sister, she had many trials and struggles, including tuberculous, which lead to her early death. Considered a mystic, Faustina spread the message of divine mercy in her personal journal called “Divine Mercy in My Soul.” Over 600 pages long, the diary is full of personal insights, interactions and accounts of mystical experiences with Christ and Mary. 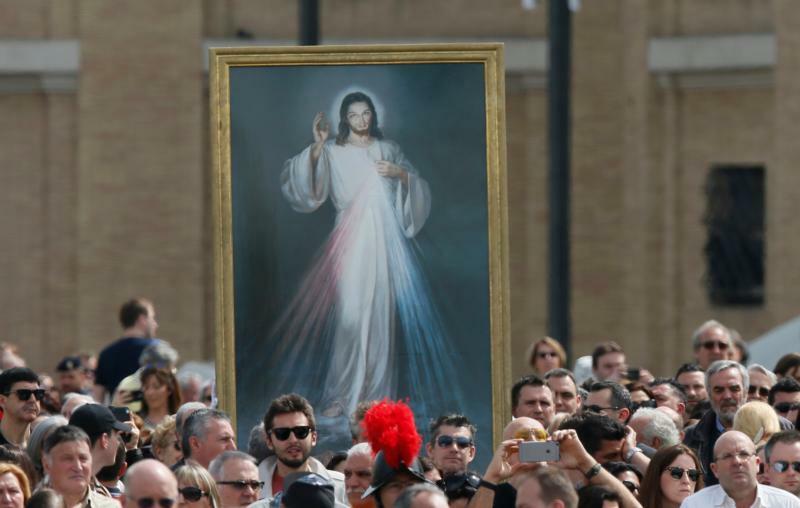 The diary details aspects of the divine mercy devotion. According to Faustina, there are special graces for those who pray before this image. “By means of this image I shall be granting many graces to souls; so let every soul have access to it,” Christ told her. Christ also instructed Faustina that there should be a great feast day to celebrate his mercy. Known as Divine Mercy Sunday, this feast day falls on the first Sunday after Easter, pointing to the close relationship between the paschal mystery and God’s mercy. “I desire that the feast of mercy be a refuge and shelter for all souls, and especially for poor sinners,” Christ told her. Special graces are available on this feast day, and Faustina presented the conditions for receiving these graces. Most important, she writes, one must be in a state of grace, have gone to confession and received holy Communion. Another aspect of the divine mercy devotion is the chaplet of divine mercy, which is prayed on the beads of a rosary. The prayer, beginning with, “I offer you the body, blood, soul and divinity of your dearly beloved Son, Our Lord, Jesus Christ,” unites us to the crucifixion. Another line from the prayer states: “For the sake of his sorrowful passion, have mercy on us and on the whole world.” This powerful phrase is the backbone for the chaplet and the driving force for why we pray it, for the people in our lives, loved ones, friends, family members and the whole world. Another aspect of the devotion, the “hour of mercy,” observed at 3:00 p.m., is the customary time Christians remember Christ’s death on the cross. “It was the hour of grace for the whole world — mercy triumphed over justice,” Faustina recorded in her diary. Pray the Stations of Cross, go to eucharistic adoration or “immerse yourself in prayer there where you happen to be, if only for a very brief instant,” Christ instructed Faustina. One other aspect of divine mercy is spreading the devotion and the hour of mercy. “Souls who spread the honor of my mercy I shield through their entire life as a tender mother her infant, and at the hour of death I will not be a judge for them, but the merciful savior,” Christ said to her. We are called to be an active member in sharing this message by living a life of deeds, words and prayers of mercy. When we show mercy and love to others, Christ is merciful toward us. The divine mercy message is a message of hope for all sinners, helping us to grow in trust of Our Lord and teaching us how to be people of mercy.